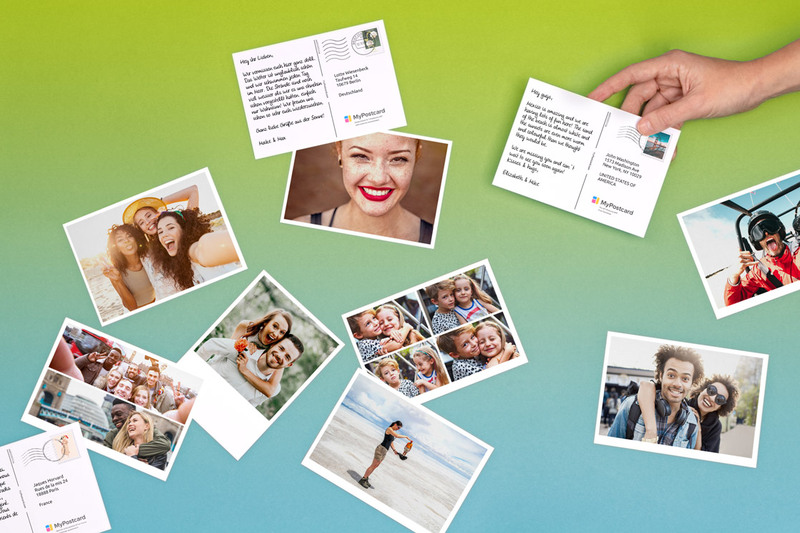 MyPostcard – Print your own Photo Cards, Photo Greeting Cards in a set online. We print and deliver it worldwide internationally. Pack of Photo Cards. in a set of up to 200 cards and write the greeting text yourself by hand. 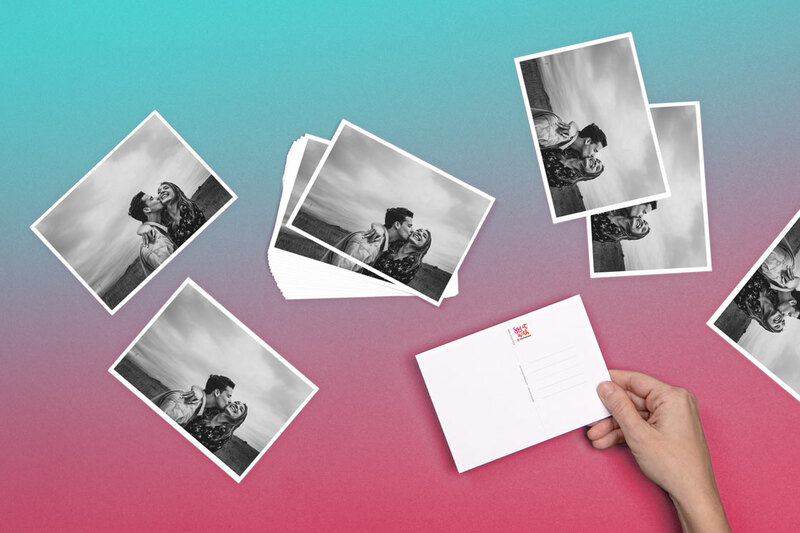 Do you want to send a bulk number of photo greeting cards? Then you have come to the right place, because that’s what you can with MyPostcard. 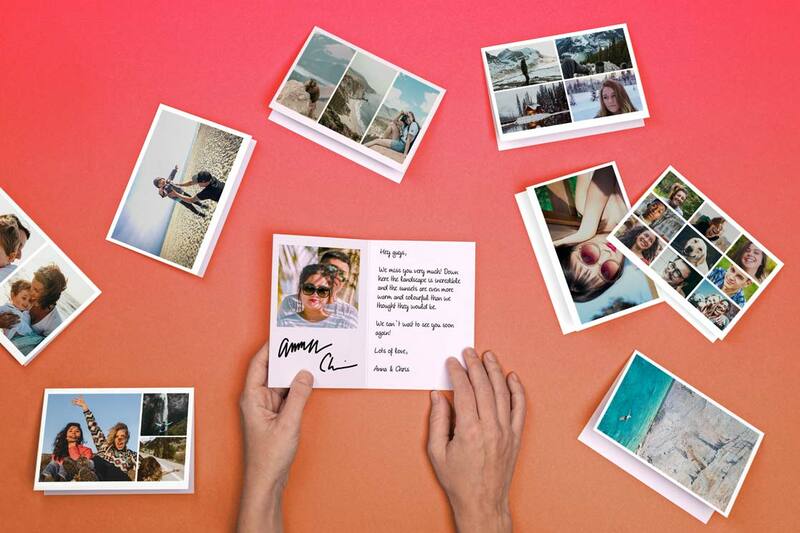 You're tired of sending the ever same boring greeting cards all the time? The choice for invitations to weddings, birthdays or confirmations etc. is large, but what is missing is that personal touch. Now it is you who can send personalized greeting cards to family and friends with our help. And the best part? You can send these photo greeting card sets directly by post worldwide free of charge to your home. First, choose the number of cards you want to set up. For this purpose we provide you with several different order quantities to choose from. 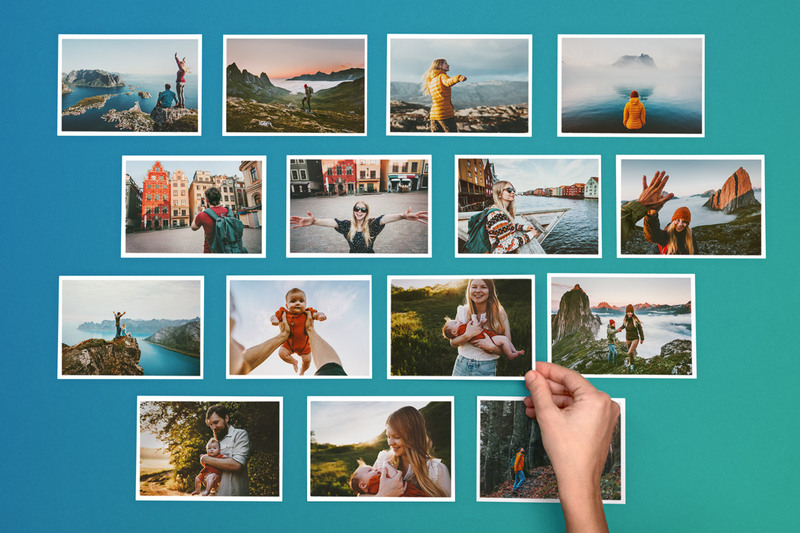 The more photo greeting cards you order, the lower the production costs will be for us, which we want you to benefit from as well. So, the larger your order of customized and personalized printed cards is, the lower the cost for you per greeting card. After you've decided your preferred bundle, you choose your motif. Depending on the number of images and their arrangement you have the choice. 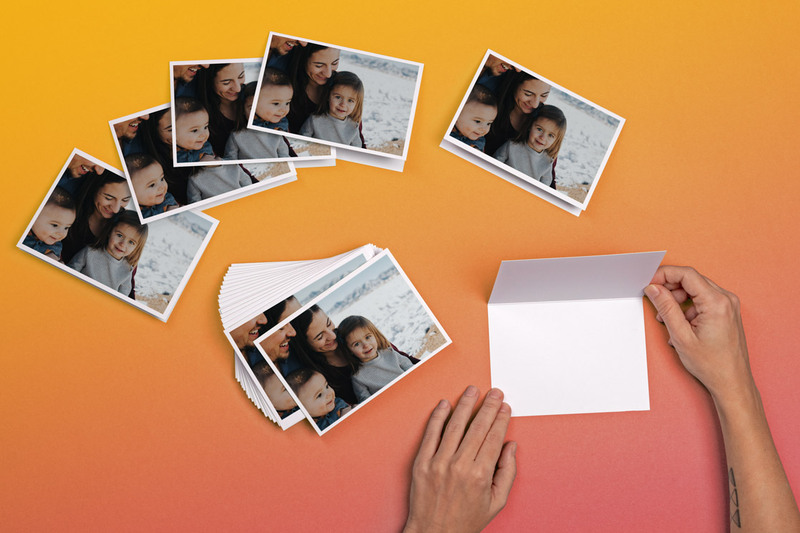 For photo greeting cards we offer different styles, so you can arrange up to nine pictures on your card. CLASSIC and INSTANT offer you the possibility to use one picture for your photo greeting card. If you have two panoramic pictures that you can't choose between, use our style PANORAMA. What? Two are still not enough? Ok, then just choose between TRIO, SKYSCRAPER or LANDSCAPE. These motifs offer space for three images and you have the choice of how you want to arrange them. Of course, four pictures are also no problem. Simply choose between QUATTRO, MODERN or TWISTER. You have more great photos to create your personal greeting card? Then use the MULTI Style with six pictures or MOSAIC with nine pictures. 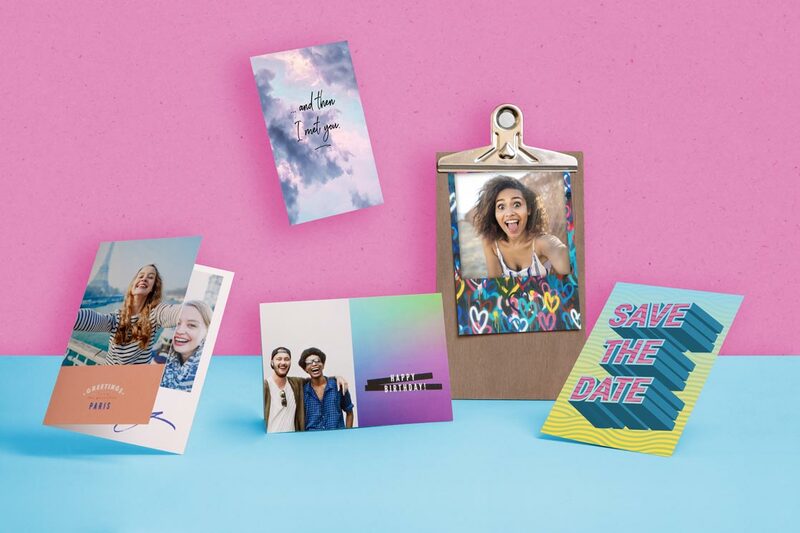 After you've finished designing your personalized greeting card, we'll send it to your home in a set, where you'll be able to handwrite the greeting text yourself.